Esther Atkins is competing at the 2020 event as an athlete and a coach—to her husband. 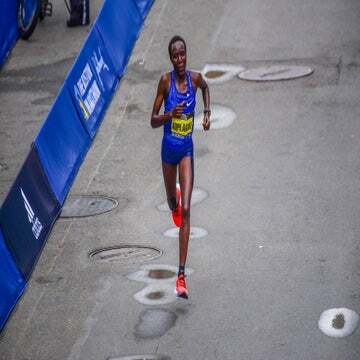 So far, 285 American women have qualified for the 2020 Olympic Marathon Trials. Among them is one competitor who will have more on her mind than her own performance—Esther Atkins is coaching her husband, Cole, to the prestigious starting line, too. Although it’s not unheard of for distance-running couples to contend at the trials at the same time, a woman calling the shots for her husband’s training is a unique arrangement in a sport that sees few female coaches at the top. Atkins, 32, qualified for the race in December, by finishing the California International Marathon in 2:36. 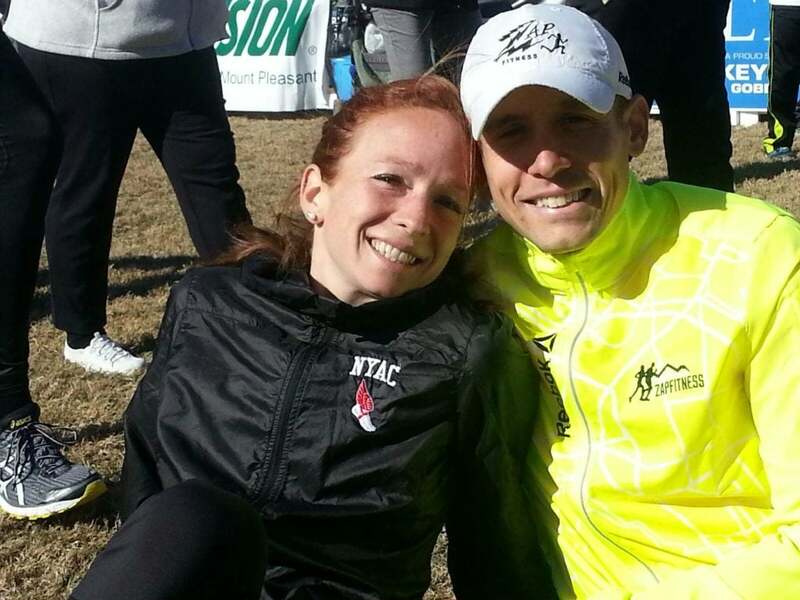 Her husband, Cole, 33, earned his spot at the Houston Marathon, finishing in 2:18. The trials are scheduled for February 29 in Atlanta, where the men and women will compete in separate races, though will likely be running at the same time. Traditionally, the top three men and women are named to the U.S. Olympic team, though the qualification system released this week by the International Association of Athletics Associations may alter the selection process. 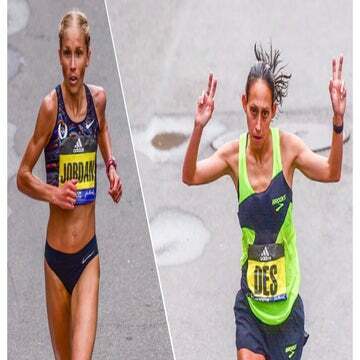 Nonetheless, athletes like the Atkins train hard for the most competitive 26.2 miles there is for American runners. Juggling personal performance needs plus supporting those of her husband-athlete has worked out, so far. With the trials on the horizon, however, the Greenville, South Carolina-based couple must find a different approach. They see it as an opportunity to hold each other accountable to early bedtimes, nutrition, ancillary care, and all the details on top of high mileage and intense workouts that are necessary to prepare. During the buildup to Atlanta, Atkins sees opportunities where she can serve as a coach while focusing as an athlete, as well as customize her training schedule to fill both roles. They can head to the track together, for example, and run different workouts and plan their long runs for different days, so Atkins can tag along next to Cole on the bike to watch his progress. But how did this arrangement originally take shape? Atkins took on Cole’s coaching duties in the fall of 2017, when Cole was returning from a long injury layoff—though he wasn’t completely sold on the arrangement in the beginning. Now he says puts complete faith in his wife as a coach—and belief in the system is critical. Atkins agrees, calling her husband one of her most coachable athletes. Atkins is guided in her own training by Steve Magness, who coaches at the University of Houston and says her mental game is one of her biggest assets. Redefining what counts as success in her running has helped Atkins ride the inevitable highs and lows that come with pursuing the sport at the highest levels. She refuses now to subscribe to the mentality that she’s only as good as her last race’s result. “I’ve learned to focus on my achievements and that’s been a game changer,” she says. To that end, Magness has been able to tap into Atkins’s mental game and work it to her advantage. For example, he asked her to pace another athlete to temper her expectations in a race when her fitness wasn’t at its peak. The result: Atkins ran better than expected, because she wasn’t focused so much on her own performance. Much like her coach/athlete relationship with Cole, Atkins has developed the necessary trust with Magness to excel. That flexibility will likely prove useful as Atkins plays her dual role heading into Atlanta. No matter how things shake out, she admits the arrangement will bring an extra level of excitement to the day.